We all want the best for our kids including a beautiful appearance. From birth, parents scrutinize every inch of their child. This is natural and I expect many questions when parents detect any imperfections. At birth the natural trauma produces all types of marks on the body. Bumps and bruises always disappear shortly after birth. Over the eye lids, forehead and the back of the neck are common spots for one of the most frequent birthmarks, a flat slightly reddened area that can be small or a couple of inches in diameter. These are collections of fine blood vessels and pigment that usually fade as the child grows. These are called nevus flammeus. No treatment is needed. Other areas of pigment deposited commonly around the back, or buttocks is called a Mongolian spot or spots. These are found more often in darker pigmented people. These do not disappear and will grow with the body. No treatment or care is necessary because they really don’t stand out and these will be covered by all but the most revealing swim suits. Other common birth marks appear as very pale areas from pea sized to an inch or more. These will later develop into a group a very red fine blood vessels. They will enlarge and be raised above the skin. They can be found anywhere on the body. They will grow as the body grows and during different times of the child’s growth will enlarge then later shrink. 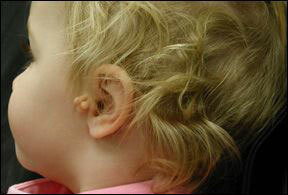 Called hemangiomas, the good news is most will disappear or gradually fade away. Some can be large and reside on the face or in areas where wear and tear result in repeated bleeding when injured. For cosmetic or practical reason these might need removal or repair. 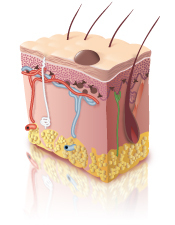 Lasers are used sometimes by experienced dermatologists or plastic surgeons. Most hemangiomas will not need treatment and will fade. And disappear. Moles can start appearing in middle to later childhood. I will examine these to detect any irregularities. If I am concerned or I feel you request more information or evaluation of these moles, I will discuss a dermatology consult with you. Biopsies of some moles are necessary, but rarely needed. The most common referral to a dermatologist occurs when a mole is bleeding and repeated scratched, along the bra line, neck hand or feet. Some moles are especially large and carry an increased risk of cancer potential. I will measure and discuss referral as necessary. These too are quite rare. Skin tags can be irritating and can bleed when repeatedly traumatized. In some cases I can tie a knot at their base with a suture and remove them successfully.